Ron Howard To Film Biopic on Barry Seal!!! Universal Pictures was caught up in a bidding auction against Sony. The prize? A hot script by Gary Spinelli (Stash House) that has yet to be written for the rock bottom price of $1 million! 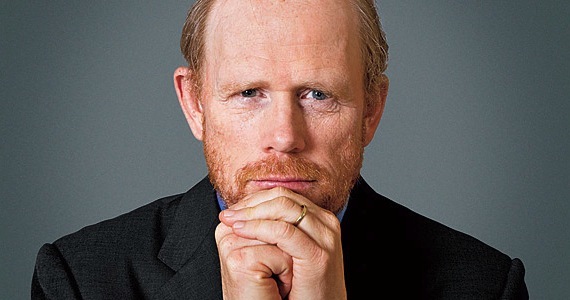 Ron Howard is already attached to direct. I’m sure Universal is banking on Howard’s vision to garner the film a big box office viewing, after all he is a proven success with films like ‘Apollo 13‘, ‘A Beautiful Mind‘, ‘Cinderella Man‘ and ‘The Davinci Code‘ that have ruled their box office runs. Doug Davison, Brian Grazer and Kim Roth are all attached to produce or executive produce. Grazer is a success on his own steam and is often paired with Ron Howard for cinematic success. So far what we know about the film’s plot is Barry Seal, a pilot who in the 1980’s was a gun runner and drug trafficker who transported contraband for the CIA and the Medellin cartel. He was eventually shot to death by the Medellin cartel in Baton Rouge. The title refers to Mena, Arkansas, where a lot of the illegal activity took place under the noses of Ronald Regan, George H.W. Bush and then-Arkansas Governor, Bill Clinton. With all the cookie-cutter film ideas in Hollywood right now, one thing remains constant. As long as there are people coming up with new and innovative ways to break the law, we will never run out of source material for original programming. This entry was posted on Monday, February 10th, 2014 at 7:19 pm	and is filed under Film, News. You can follow any responses to this entry through the RSS 2.0 feed. You can skip to the end and leave a response. Pinging is currently not allowed. « Paramount Making Film on Benghazi Attack Based on Unreleased Book! !